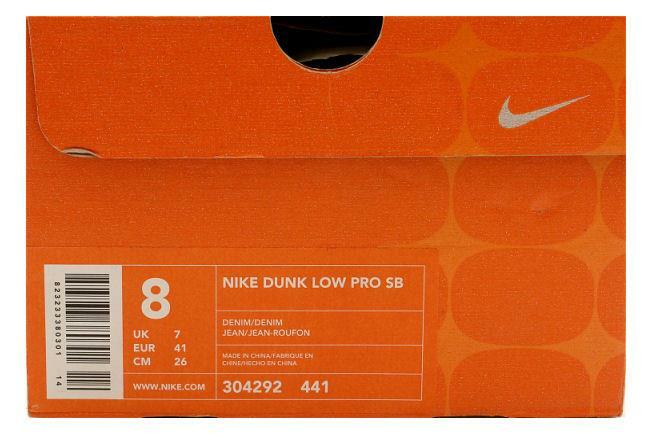 Info: Super limited Dunk SB release featuring colors by Reese Forbes and artwork by Natas Kaupas. 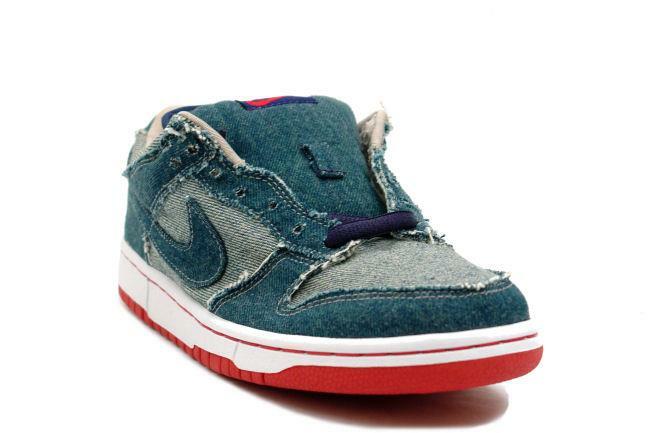 They feature a blue denim upper with a lighter denim on the quarter panels, toebox, and ankle area. 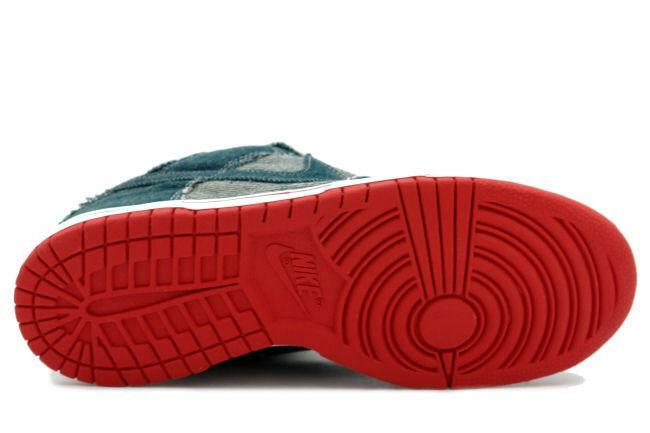 The red trim on the sole is a very nice touch, as it catches your eye amongst the white midsole. 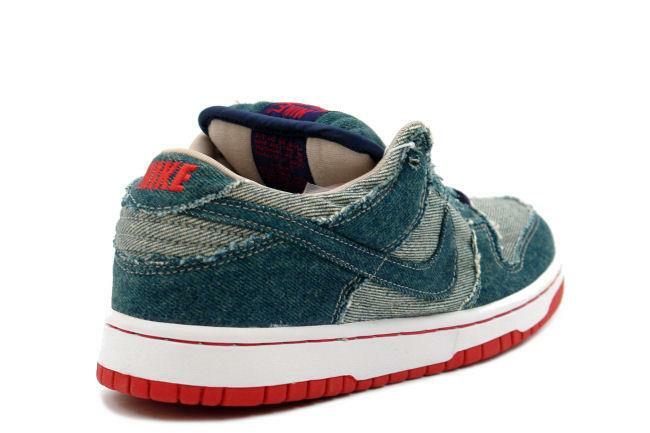 Limited to only 444 pairs in the world. 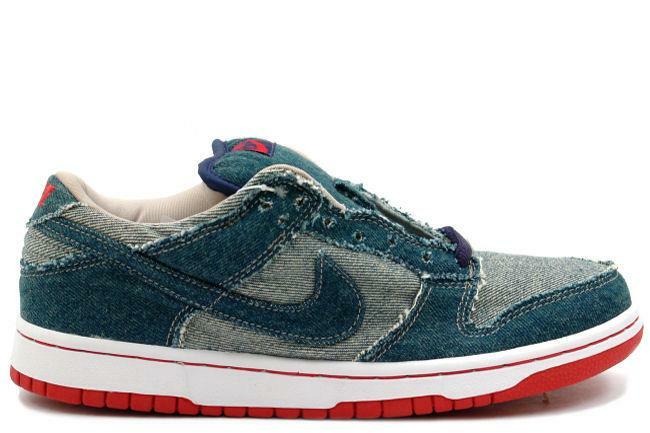 December 2002 Nike SB release.